Writing academic essays can be challenging. These are often structured and formally organized, and there are specific guidelines and practices to follow. Compared to personal writing and other writing genres, academic writing is concerned with concise, formal, and objective tones. If you make a claim, you are expected to present facts to support it. To do this, author citations and other factual references are necessary citations in the literature. If you need to write academic essays, using just anything you find on the Internet may not be as useful as you thought it to be. Many websites are plagued with unreliable sources. As a matter of fact, most of the content is created by users. It doesn’t go through a screening or filtering process so there is no absolutely guarantee that the information is credible. With a few clicks, you can even create a page about your fictional alter-ego life. If you want to stick with Google, you can get the Google Scholar. It's like your favorite search engine but concerned with scholarly literature. It's also accessible and free to use. It searches the most useful and relevant books, dissertations, report and other academic resources based on your provided topic. Sometimes it can provide access to the full book or article if it is free online. If you are checking resources, Google Scholar’s library catalog is very useful. 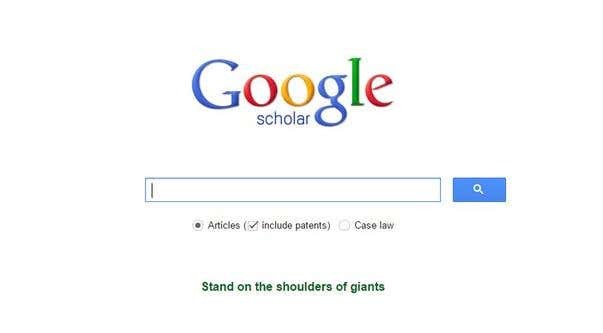 If you want to stick with Google, you can get the Google Scholar. It is like your favorite search engine but concerned with scholarly literature. It is also accessible and free to use. It searches the most useful and relevant books, dissertations, report and other academic resources based on your provided topic. Sometimes it can provide access to the full book or article if it is free online. If you are checking resources, Google Scholar’s library catalog is very useful. JURN is another note-worthy academic search engine to use. It boasts more than 4,000 indexed documents. Users can access free electronic journals or ejournals related to arts and humanities. Other topics like science, business, history, ecology and biomedical are also available. Using JURN is like using Google. For better results, JURN encourage users to apply Google search modifiers in the search box. With millions of publications and authors, who wouldn’t use Microsoft Academic Search or MAS? This search engine is developed by Microsoft, and it covers different fields of study, ranging from agriculture to social. You can also filter results via author, keywords, journals or publication. If you want more results, you can check RefSeek’s over 1 billion documents of newspapers, journals, thesis, books and more. 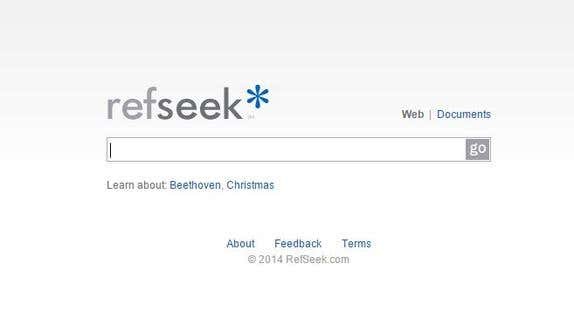 Compared to other search engines, RefSeek is concerned with providing accurate results without those pesky sponsored links. To get most out of your search, RefReek recommends using the plus and minus sign to force include or exclude a word. It may be intimidating task to write academic essays, but you can come up with the best essays by using academic search engines. Use RefSeek, Microsoft Academic Search or Google Scholar to support your ideas and opinions. Remember, a good academic essay is concise, informative, and formal, with factual evidence to back up your claims.